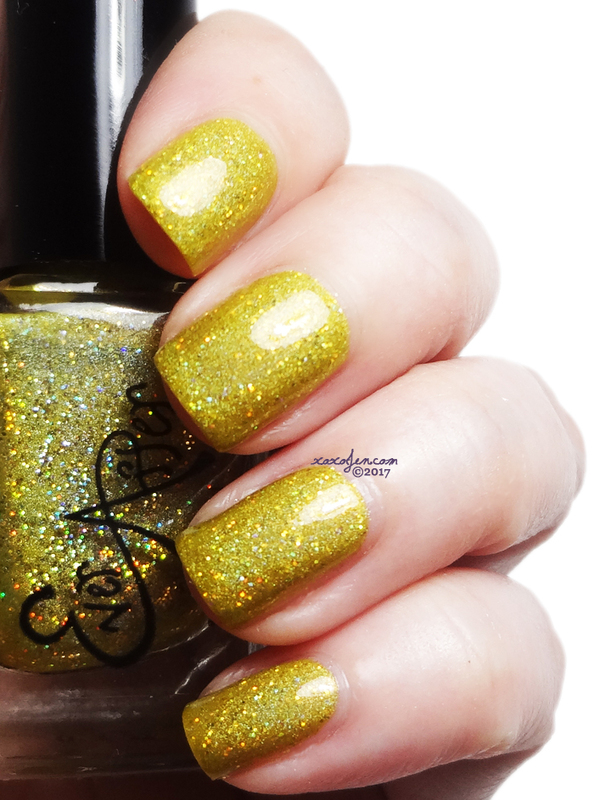 Yellow Submarine - This polish starts with a mustard yellow base, dusted with holographic glitter and pigments. 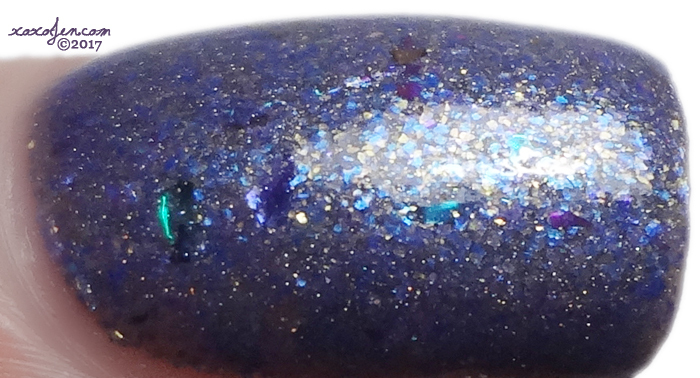 The super sparkly finish and shade are eye catching. Opaque in two coats. 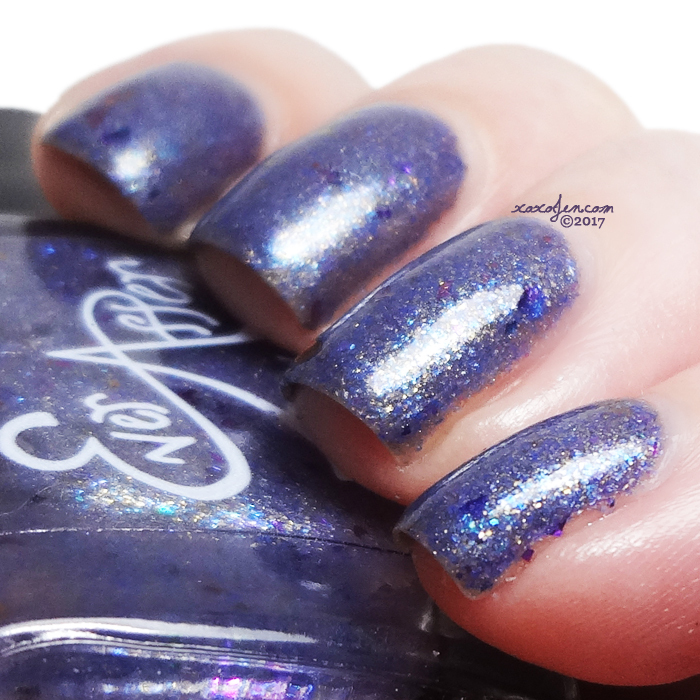 Across The Universe - a beautiful purple leaning gray crelly with rainbow shifting holo. Opaque in two coats. 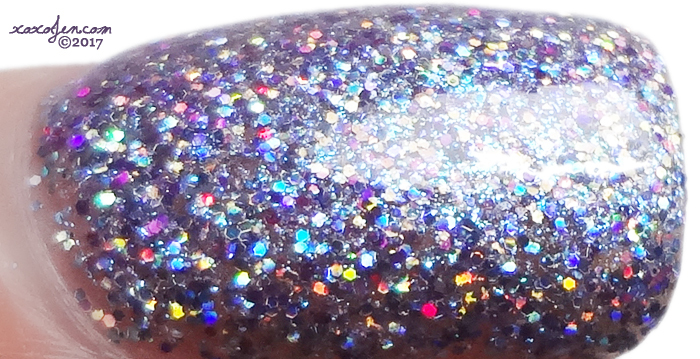 Lucy In The Sky With Diamonds - super glittery holographic, barely lilac polish. Opaque in three coats. The formula for each was smooth and easy to apply, though Lucy was a little thicker feeling just because it is so packed with sparkly holo glitters. Available on May 15th at their new online shop - I don't have a link to it yet but I would bet their old shop will have a message up and the facebook fan group will likely have the info. If I get the link in advance, I'll update this entry. Really pretty this trio of polishes!